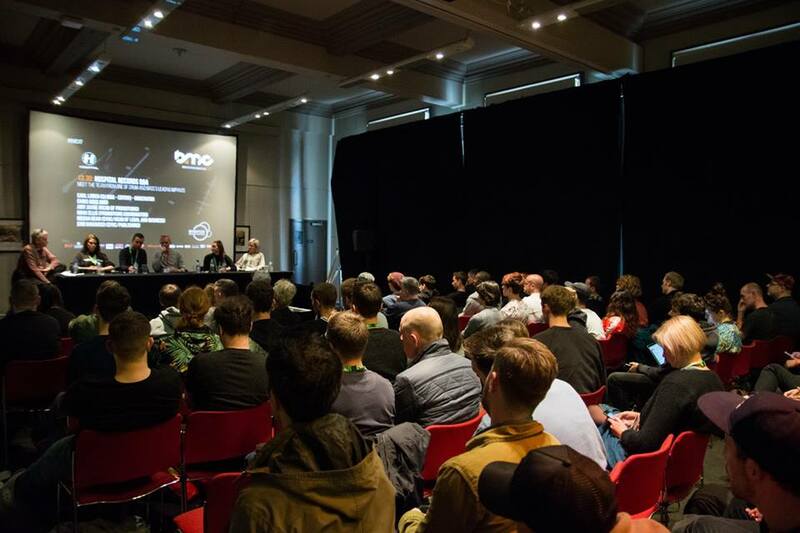 Irvine Welsh, Eats Everything, BBC Radio 1 Newsbeat, Friction, and Sam Divine will join 160+ speakers at BMC18 from “PRS For Music”, BPI, AIM, Association For Electronic Music (AFEM), AIF, ACS, LNADJ, Help Musicians, Fabric, SoundCloud, Virgin/EMI, Believe, SW4, Defected, Toolroom, Hospital Records, Ram Records, Tru Thoughts, Beatport, Women Produce Music, BIMM, DJ Mag, MusicTech, AEI, Funktion One, Pioneer, Ableton, This Is Global, Boiler Room, Friction, KRPT, Horus Music, Decoded Magazine, Data Transmission, Skiddle, SharpStream, KRPT, GRM Daily, LWE, Fuse, Mark Knight, Waze & Odyssey, Luke Solomon, London Elektricity, Illyus & Barrientos, Label Worx, Dean Marsh, Jules O’ Riordan, and many more. 15 Professional Programme talks and panels include: ‘Mental Health In The Electronic Music Industry; ‘Is The Underground Underground Anymore’; ‘LNADJ presents Social Responsibility with Eats Everything’; ‘Diversity Is A Reality, Inclusivity Is The Goal (in association with PRS for Music)’; ‘Interview with Irvine Welsh’; ‘Interview with Tony & Ann Andrews from Funktion One’, and more. Click here for the full Professional Theatre programme. 16 Academy Programme talks and panels include ‘How to get your music signed to the right label’, ‘Getting paid for your creativity’ in association with PRS For Music, ‘How Much Is Your Hearing Worth’, ‘Education – is college really worth it?’ ‘RAM Records label Q+A’, ‘Interview with Friction’, ‘Tru Thoughts label Q+A’ plus more. Click here for the full Academy Theatre programme. BBC Radio 1 Newsbeat will host a panel on ‘Drug testing’ and ‘Brexit’ for broadcast with speakers from AFEM and Fabric joining Newsbeat’s Jimmy Blake and broadcaster Danny Howard. 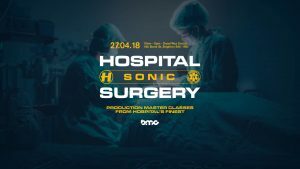 Hospital Records launches Sonic Surgery with meet the team including London Elektricity, Nu:tone, Keeno, Danny Byrd and demo drop for A&R feedback. Toolroom Academy will return on Thursday 26th April to BMC for a full day of demo drop in’s and workshops. 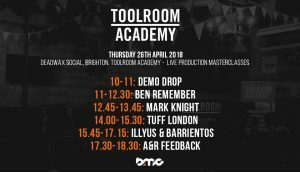 Focusrite / Novation will be hosting their own theatre this year in the exhibition hall which all BMC pass holders will have FREE access to!